I wanted to write something for Christmastime and I became intrigued by two similar verses about God’s love. One’s in a favorite passage of mine that I pull out for the Yuletide that to me is the essence of Christmas. It’s Titus 3:4-7. 4But when the kindness of God our Savior and His love for mankind appeared, 5He saved us, not on the basis of deeds which we have done in righteousness, but according to His mercy, by the washing of regeneration and renewing by the Holy Spirit, 6whom He poured out upon us richly through Jesus Christ our Savior, 7so that being justified by His grace we would be made heirs according to the hope of eternal life. Here we find all the words we as believers hang on: love, mercy, grace, hope, and among many other rich theological principles, the fact that nothing we can do can justify us in light of God’s righteousness. 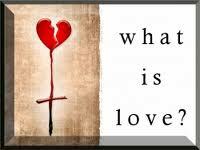 But it’s interesting that here the word for “love” is not the anticipated agape we find in the other verse, John 3:16. 16“For God so loved the world, that He gave His only begotten Son, that whoever believes in Him shall not perish, but have eternal life. It’s actually a compound word philanthropia, made up of the less intense word for “love,” philos, and the word for “mankind,” namely anthropos. It means roughly that God began by being kindly disposed toward the human race, even in its wretched condition. After thinking about this for a few days, I arrived at this basic understanding. When Christ appeared on the scene, he did so responding to the Father’s kind feeling toward us, wishing all to believe in him. That’s why he was dispatched. This kindness, over the timeframe of 33 years or so, was finally demonstrated in his death, the ultimate sacrifice of love. The sacrifice was on God’s part, in that Jesus was his only son, and on Jesus’ part, that he bore the pain and shame of death on the cross. What began as a philanthropic feeling became agape love. The point is that true love must always be demonstrated with some sort of sacrifice. In Jesus’ case it was the supreme sacrifice of his life on a cross. Consequently, we are now joint heirs with him! Another example is Peter, who learned these nuances about love the hard way in an interogation on the beach (John 21:15-19). But in the end, he too paid the ultimate price for his Lord. This entry was posted in Devotionals and tagged agape, love, sacrifice, Titus 3:4-7. Bookmark the permalink.